What does it take to be a landlord? We’re not talking about having one property that you decided to keep around. We’re talking about having lots of rental properties in your real estate investing portfolio that you manage as a full time job. This is a very popular type of real estate investing because it’s a form of passive income. 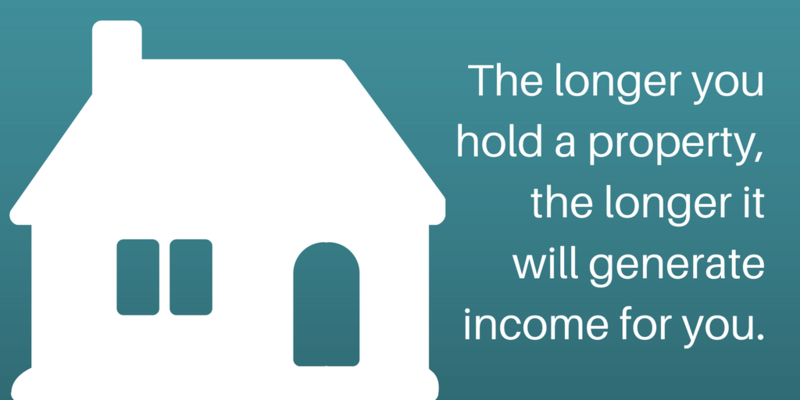 Passive income is the whole reason people get into real estate investing after all. Whether you’re a new real estate investor or a seasoned investor looking to expand their business, let’s go over if renting houses is right for you. This strategy is exactly what it sounds like. You get a property either by buying it from motivated sellers, other investors, traditionally, or take a home you already own, and list it as a rental property. 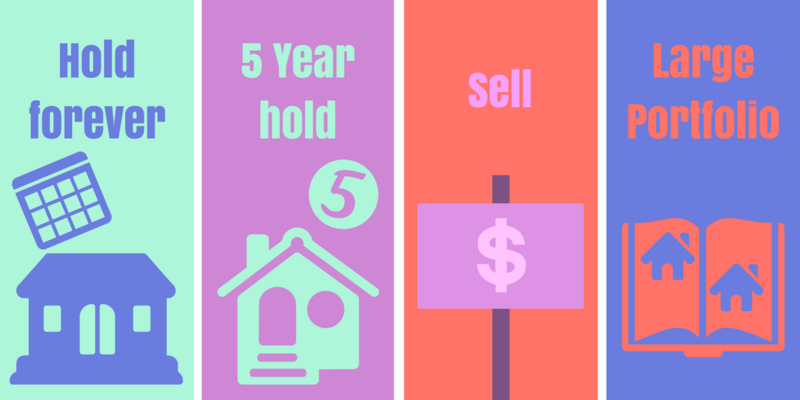 Hold onto that house for a few years, let it build your passive income while you diversify and buy more properties, then turn it around and sell it. You can either sell the house to the current tenants (if they’re able to buy it), sell it traditionally on the market, or sell it to other investors. 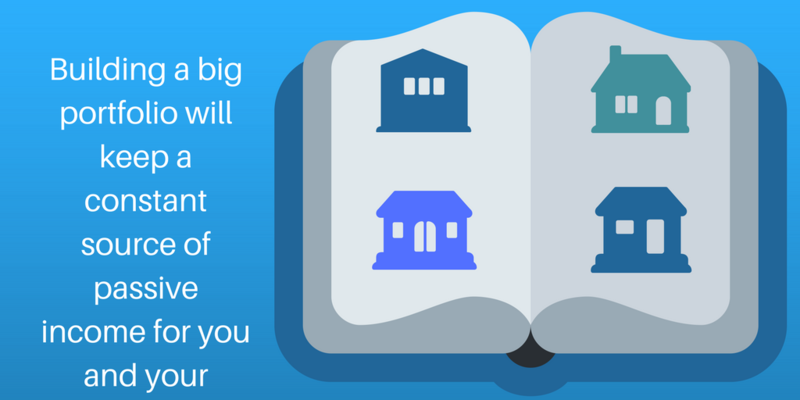 Once you sell it, you’ll have a bulk sum of money to reinvest into another property, or walk away with. Either way, this house has gone on to pay for itself over the course of your renting contracts, and turn a profit for you when you sell it. Say you buy a 3 bedroom house at an auction for $85k. You pay in cash right there, so you own the house outright. You invest roughly $20k to improve and fix up the house for renters. So far this house has cost you a total of $105k. If you rent it out for $1,400/month, then the house has paid for itself in just over 6 years. For most people, that might not sound like a quick turn around, and truth be told it’s not. However, it is a good way to build up a source of passive income for your future. We’ll talk about rental portfolios further down, but the thing to keep in mind is the ease of income. As an active real estate investor right now, you spend a lot of time hunting down leads and rehabbing houses. Which is fine, for now. But 10 or 20 years from now will you still want to be calling sellers and meeting with title companies? Probably not. That’s where gathering rental properties and holding them indefinitely comes in. You’ll still be making a good income but without the work involved with hunting for leads. That’s why most real estate investors make the switch to owning rental properties. This strategy combines the first two together, and is a lot more common than you’d think. A lot of real estate investors who do this type of rental strategy because it generates income for them after the house pays for itself, then sell it for bulk cash once they’ve decided to stop being a landlord. You get the best of both worlds with this renting strategy. If renting houses is right for you, it would be very common for you to add this type of real estate investing to your business. You’ll hold on to the house as long as it makes sense for you and your business, and sell it whenever it works for you. Just like with flipping houses, or wholesaling houses, renting houses has its pros and cons. 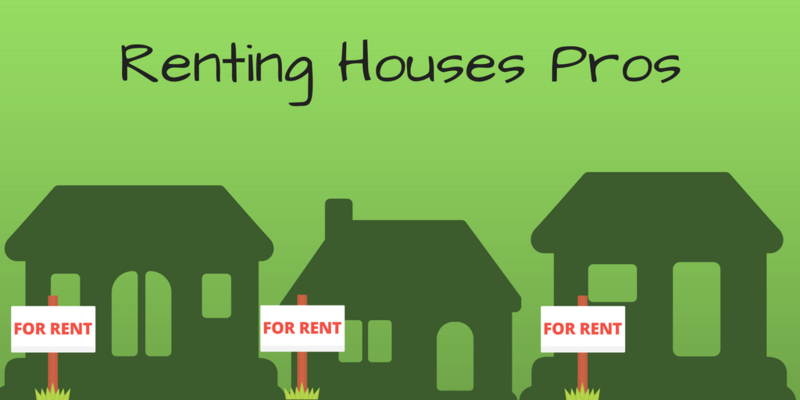 To find if renting houses is right for you, let’s talk about the pros! It’s not all positive all the time though. While renting houses is a much safer investment than flipping or wholesaling, there are negatives too. Let’s go over the cons to see if renting houses is right for you! 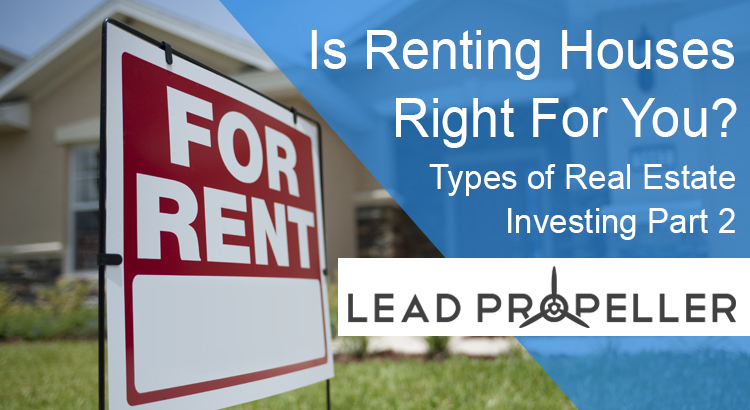 Building a renting portfolio is where most landlord real estate investors end up. Again, building a strong renting portfolio is great for generating passive income that’s stable for retirement or general financial freedom. So if renting is passive, what’s the best way to build a portfolio – I mean without hunting down houses, of course. Well, that’s where you could start. You could always look for houses the way house flippers do: driving for dollars, going to auctions, sending direct mail, etc. However, the whole reason investors get into renting properties is because they don’t want to spend all of their time doing that. It’s very time consuming. Actually, the possibilities with having a website for your house renting business are endless! So you know you need a website if you want to build a renting portfolio, but where do you start? There are always options like Squarespace or Wix, but at the end of the day you’ll be spending a lot of time learning the interface and building you specific site. Because those are generic website template services, you won’t find a template that’s specific to the needs of a real estate investing landlord. That’s why, at LeadPropeller, we have selling and renting websites that are already for your business. In fact, your website will be ready to go live in as little as 15 minutes. That’s because we’re real estate investors who know what another investor needs from their business site. We’ve built it out for you, and we’ve made it customized to your business’s information. All you have to do is fill out your business name, target area, and contact information and our professionally designed renting website does the rest. Talk about simple to use, right? With one of our listing sites you can show your available properties, properties that have been sold, manage listings, manage rentals, and communicate with tenants. Moving your real estate investing business into the future has never been easier. See if our listing sites are right for your business by taking our live demos on a test drive! Is Renting Houses Right for You? With all of the different types of real estate investing out there, renting is definitely on the rise. After all, who wouldn’t want a solid passive income? Sure, you won’t get rich overnight, but renting houses is a strong strategy for building a foundation for your retirement. Ask yourself: is renting houses right for you? If it is, start building your portfolio!